Uniqlo may be the best known clothing store in all of Japan but in the West few knew of its name. The company was planning the grand opening of its flagship store in New York but needed a cool and clever way to promote and build up the excitement for its arrival. 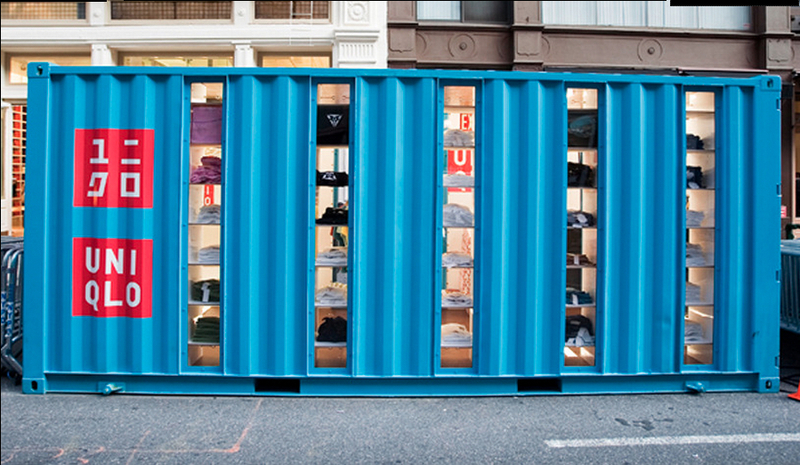 In order to generate buzz and get New Yorkers excited, the company partnered with Neverstop to produce and manage an 11-week shipping container pop-up store to promote the brand. 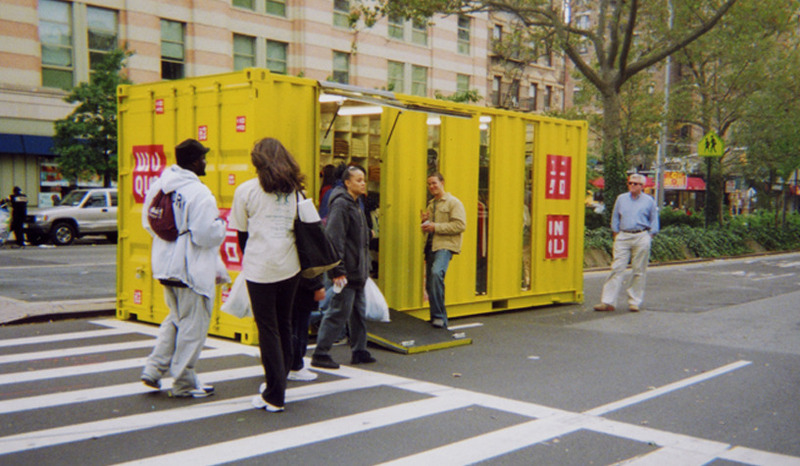 The idea came from the company’s tagline “From Tokyo to New York” and was to convert two Conex Shipping Containers into unique, cool and workable stores and install them strategically all over Manhattan, representing the literal arrival of Uniqlo in New York. 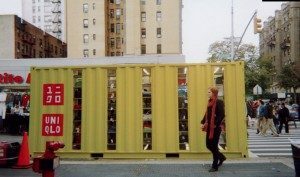 The design and construction of the containers was done by LOT-EK who consulted on the project and kept mobility principles in mind to navigate the stores around Manhattan. 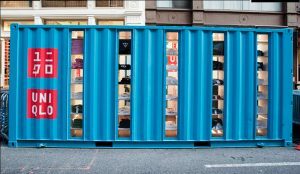 Each Conex shipping container was built with shelving space, fitting rooms and vertical windows that displayed the company’s merchandise to people passing by. 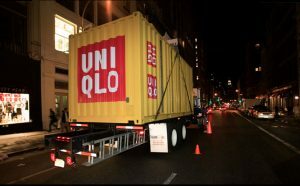 The two 20ft shipping containers made their tour around Manhattan introducing Uniqlo to the United States and were received with open arms. The visits included parks, stadiums, concerts and trending neighbourhoods before eventually becoming the central piece to the downtown flagship store launch event. The promotion created a lot of press for Uniqlo and general awareness for the brand. Extensive coverage was done by Business Week, who did a multiple-page report and documented the build of the store in an online slide show. The use of shipping containers has become a hit to many retailers for their unique take on a normal retail store. The mobility and relatively low-cost to produce a quality pop-up shop has also a big appeal to companies and now many more are getting aboard this new trend. If you have been inspired by this story, our team at Shipped.com can match you with the perfect container for your next project and be sure to help you every step of the way.